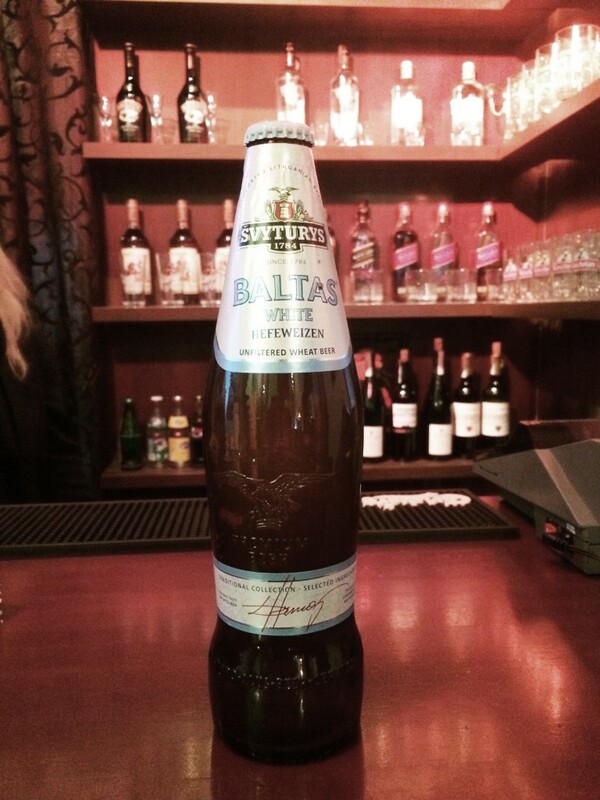 Švyturys Baltas White – is a wheat Hefeweizen beer, member of the traditional Švyturys collection. It is defined by a refreshing taste and flavour that resembles a bouquet of cloves, bananas, plums, orange peel and exotic fruit. This non-filtered, cloudy beer with its peculiar taste and exceptional flavour should be served with a slice of lemon in a special pre-chilled glass. A wheat beer glass quite sharply flared at the top to look a bit like an hourglass, designed so as to perfectly reveal the flavour of this exclusive beer. Beer White perfectly complements fish, seafood, soft cheese, and light fruit desserts.